Why would I need self storage in Chula Vista, CA? There are a variety of reasons why you might need self-storage in Chula Vista, CA. How much is a storage unit in Chula Vista, CA? The cheapest storage unit in Chula Vista, CA is $94.00 per month. What size storage units do you have available in Chula Vista, CA? In Chula Vista, CA we have sizes that range from 5'x5' to 10'x32' to suit your storage needs. How much is it for a 5'x5' storage unit in Chula Vista, CA? The cheapest 5'x5' storage unit in Chula Vista, CA is $94.00 per month. Conveniently located equidistant from San Diego and the Mexican border, Chula Vista is a culturally rich and economically diverse area. The city has been growing at an impressive rate for the past several decades, attracting many new residents with its healthy job market and variety of amenities. In Chula Vista, you'll find close to 50-square miles of parks, trails, canyons and coastline, and the city leads the way in environmental conservation, business growth, health and well-being. Chula Vista is a tourism hot spot, so there are plenty of local attractions to enjoy. Aside from a variety of retail shops, restaurants and golf courses, Chula Vista is also home to the Chula Vista Nature Center. This large educational park provides opportunities to view many of the region's native species, including rays, sharks, birds of prey and insects. The city's coastal location provides a variety of water-focused activities, and several local companies provides sports fishing and whale-watching expeditions. 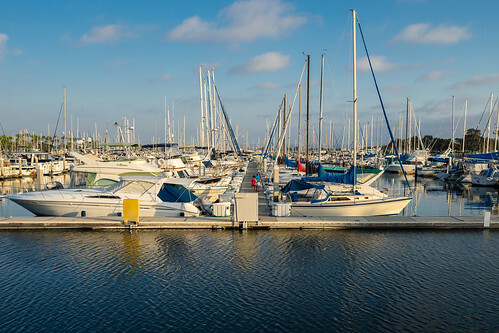 Chula Vista's South Bay Marina is also the site of the Chula Vista Yacht Club. Home to a diverse economy, Chula Vista has businesses in the tourism, education, retail, aerospace and professional services sectors. Together, the city's educational institutions provide several thousand jobs, as do the city's medical facilities. One of the other largest employers in the area is United Technologies Aerospace Systems. The largest industries in the area include tourism, professional and business services, government, trade, transportation, education and health services. If you're planning to join the Chula Vista job market, you'll find a number of jobs in the city's fastest-growing industries: construction, education, health services, business services and information technology. Eastlake is a master-planned community with several thousand homes that is earning awards as one of the best new neighborhoods in the San Diego area. Its centerpiece is a 21.5-acre man-made lake with the Eastlake Beach Shores Club, where you can rent paddle-boats, enjoy the walking paths or swim in the beach pool. If you're looking for million-dollar estates and top-notch amenities, Rancho Del Ray is one of Chula Vista's most affluent communities. Neighborhood amenities are mainly family-focused, including a movie theater and several casual restaurants. Rolling Hills Ranch is filled with single-family homes with lush green landscaping and large lots. The neighborhood has plenty of outdoor spaces, including the Salt Creek Golf Club and Montvale Park, in which to enjoy the mild California weather. Otay Ranch is one of Chula Vista's newer neighborhoods, designed as a pedestrian-friendly master-planned community with a variety of amenities. Stretching over 5,000-acres, Otay Ranch has several local parks, promenade-style streets and an extensive network of trails. The Sweetwater Union High School District and the Chula Vista Elementary School District serve the public schools. There are also several private schools in the area, ranging from parochial to secular options. If you're planning to pursue higher education in Chula Vista, there are a handful of private colleges to choose from as well as Southwestern College, a two-year community college. Utilities: The main power provider in the city is San Diego Gas & Electric, and the city manages water and sewer services. Garbage and Recycling: Trash and recyclables are collected weekly. The city also provides resources for composting and safe for disposal of hazardous items. Transportation: The main form of public transit in Chula Vista is their trolley system. There's also a large network of bike-friendly paths and facilities. The median home and rent prices in Chula Vista are significantly higher than the U.S. average, which is standard for most California cities. If you're looking for affordable housing options, you'll generally find the best options on the city's west side near San Diego Bay. The city's high-end housing is scattered throughout the center of Chula Vista, including Otay Ranch and Rancho del Ray. Our lowest priced units in Chula Vista, CA average $94.00 per month. 99 people have reserved units in Chula Vista, CA in the past 30 days. There is 1 location within Chula Vista, CA's city limits.